Extend the life and look of your company’s highrise with a professional window cleaning from Southwest Ultra Clear. We provide a wide range of highrise services for business all across Las Vegas and the southern Nevada area. For over two decades business owners have trusted our Las Vegas window washers to make their building’s exterior shine from top to bottom! Contact us today for a full range of services that we provide. Highrise window cleaning is a highly technical and dangerous field. It requires extensive training and years of experience. This is why we only use the industry’s top equipment, and hire certified dependable staff to do the job. We follow all safety codes and regulations and treat every job with the utmost care for employees. The last thing you need to do is worry about the company you are hiring for your highrise cleaning needs. Leave the worry to us so that you can get on with your business. We are Southern Nevada’s most trusted window cleaning service. 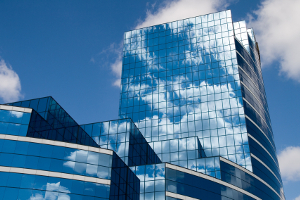 A partially clean office building is just as noticeable as a properly clean one. Our highrise window washers will insure that every window on your building’s exterior is 100% spot free and that your will building shine after the job is done. We provide fast efficient service without sacrificing quality. We understand your company’s image is important and it all starts with the appeal of both the interior and exterior of your business. Therefore, we work hard to bring you total satisfaction from start to finish. Your office highrise has a lot of windows. 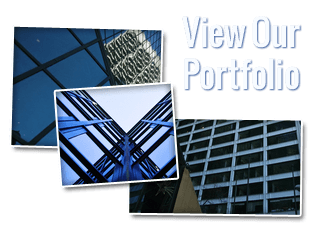 We offer full service window cleaning for both your building’s exterior and interior. This saves you time and money and the hassle of having to find multiple companies. Our interior service cleans every window in your business on the inside as thoroughly as we do on the outside. We provide courteous, quiet work that is does not disrupt your staff. We use safe cleaning agents that that do not stain or leave a residue. You’ll appreciate how clean your windows look on both sides. All of our products and services are backed up by our customer satisfaction guarantee. The jobs not done until you are more than pleased. Our Las Vegas window cleaning company gives your affordable rates, and works hard to earn your trust and long term business relationship. See the difference that Southwest Ultra Clear makes. Contact us today! We Do More Than Window Washing! 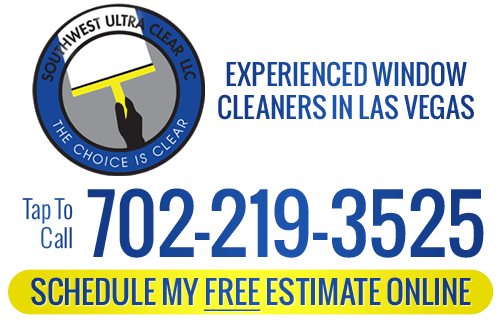 If you are looking for a professional window washer in Las Vegas, then contact Southwest Ultra Clear. Call us at 702-219-3525 or complete our online request form.